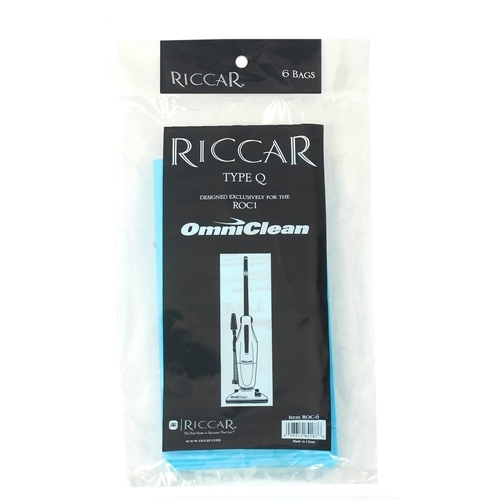 Paper bags for OmniClean portable canister vacuum model ROC1. Package includes 6 bags and 1 replacement filter. Item # ROC-6.